According to the plan, after the publication of the bibliography, the six training modules and the tutorials , we are happy to announce that the exercises and tests to support the self-assessement of the lesson-learnt on PCm are now available in all partner languages. 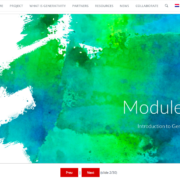 As they are strongly linked to the diverse training modules, they are available close to the “view-online” and “download” option of each single module here: scroll down, open the chosen module, go to the exercise. 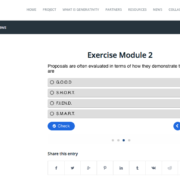 The self-test for Module 0 takes the form of an exercise in developing a simple project action plan using the Project Cycle Management approach. This includes identifying a suitable mentor to help with understanding, and even explaining further, particular features of PCM. Then undertaking an effective needs analysis, feasibility study, and a range of other important activities needed to generate a successful proposal. The test for the modules 1-to-5 are in the form of the multiple questionnaire, and offers the possibility to verify if you answered correctly, or what issues need an eventual review. Do not wait any longer and verify your skills and competences on PCM. 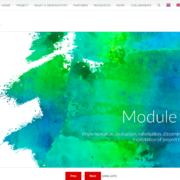 Module 3 deepens the major aspects related to the selection process and procedures regarding the building of your partnership for the project. Choosing your partners is a very important task. You will need to work with your partners for probably two or more years in the project and you need to be sure that they are reliable and will deliver on time. Obviously, there is also a matter of financial capacity as well as many other aspects, which are equally important. 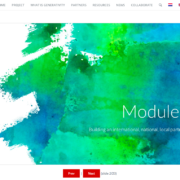 The “module 3 – Building an international, national and local partnership”” is available in English, French, Italian, Polish, Greek and Dutch. The module in download is accessible here. 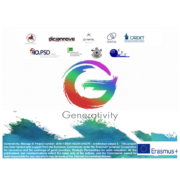 http://generativity.eu/wp-content/uploads/2018/03/module-3-screenshot.png 761 1167 teamGenerativity http://generativity.eu/wp-content/uploads/2016/12/small_logo-180x180.jpg teamGenerativity2018-03-01 15:01:502018-03-01 15:04:00The "module 3 - Building an international, national and local partnership" is available in free download. http://generativity.eu/wp-content/uploads/2018/02/module-2-screenshot.png 799 1172 teamGenerativity http://generativity.eu/wp-content/uploads/2016/12/small_logo-180x180.jpg teamGenerativity2018-02-23 09:33:222018-02-23 09:38:37The "module 2 - How to structure an innovative and sustainable project idea" is available in free download. 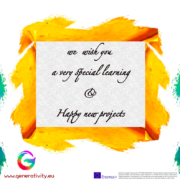 http://generativity.eu/wp-content/uploads/2018/02/Schermata-2018-02-08-alle-10.25.02.png 800 1165 teamGenerativity http://generativity.eu/wp-content/uploads/2016/12/small_logo-180x180.jpg teamGenerativity2018-02-15 19:44:382018-02-15 19:50:46The "module 1 - Financial and programmatic priorities of the EU2020 strategy within various programs" is available in free download. http://generativity.eu/wp-content/uploads/2018/02/Schermata-2018-02-08-alle-10.24.29.png 721 1164 teamGenerativity http://generativity.eu/wp-content/uploads/2016/12/small_logo-180x180.jpg teamGenerativity2018-02-08 19:56:092018-02-08 19:59:58The "module 0 -things to know when applying for EU funds" is available in free download. http://generativity.eu/wp-content/uploads/2016/12/tutorials.png 850 1100 teamGenerativity http://generativity.eu/wp-content/uploads/2016/12/small_logo-180x180.jpg teamGenerativity2018-01-26 12:22:262018-01-31 13:00:02Video Tutorials are online!